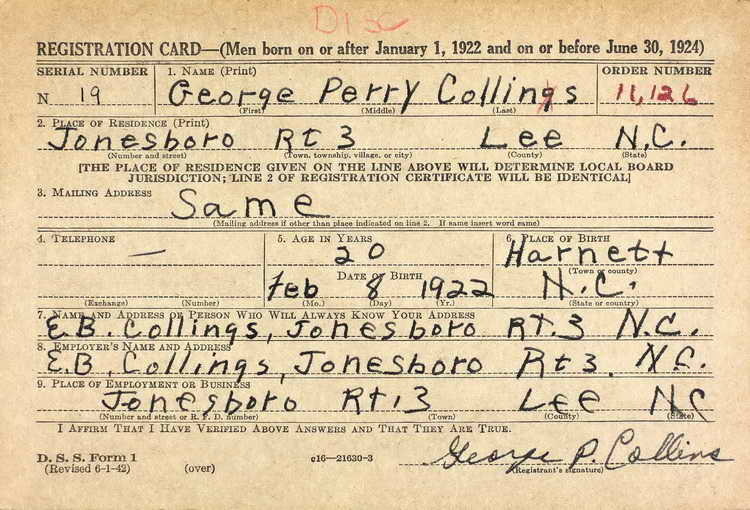 Draft registration card for George P. Collins then living in Jonesboro (Lee county), North Carolina. George enlisted at Ft Bragg, NC on 10 October 1942 and was transferred to Co D, 508 PIR on 3 Nov 1942. Pvt Collins was transferred to the 541st PIR on 27 November 1943, both units were at Camp Mackall at that time. Collins was discharged on 4 January 1946.